David Patterson, a Navajo Code Talker, recalls his service in World War II on Wednesday at Shiprock. United States Marines from left, Maj. George Hasseltine, Staff Sgt. Jerry Benally, Staff Sgt. Alex Santos and Cpl. Dustin Francisco salute David Patterson on Wednesday during his 87th birthday party in Shiprock. Aliana Begaii, 4, who recited the pledge of allegiance in English and Navajo, looks on. 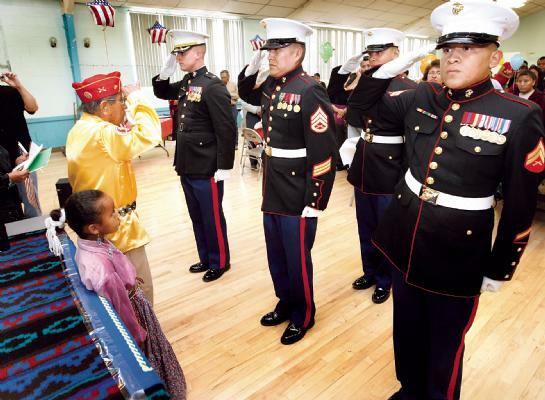 SHIPROCK–An extended family of more than 150 members said happy birthday—ba hoozho bi'dizchi-neeji' 'aneilkaah— here Wednesday to 87-year-old David Patterson, one of the few remaining Navajo Code Talkers whose encrypted messages befuddled eavesdropping Japanese as U.S. Marines recaptured Pacific islands in World War II. It's perhaps fitting that Patterson's birthday falls on Veterans Day and a day after the birthday of the military branch in which he served from 1943-1945. Patterson, in commemorative uniform - khaki pants, red service cap, yellow shirt adorned with medals and a patch on the left sleeve with a 4 denoting the Marines 4th Division in which he served - received hugs and good wishes from children, grandchildren, nieces and nephews. He returned a salute from five uniformed Marines, including grandson Staff Sgt. Jerry Benally, who heads the service's recruiting office in Farmington. The celebration opened with a prayer and cleansing ceremony by George Bluehorse and the pledge of allegiance in English and Navajo by 4-year-old Aliana Begaii. Letters from schoolchildren thanking Patterson for "saving the nation" were displayed on a table along with photos of Patterson and a copy of Navajo Weapon: The Navajo Code Talkers by Sally McClain. In her book, McClain details the largely unknown history of the Code Talkers and their contribution to ultimate victory in the Pacific. Only about 50 of the more than 400 men who were trained are alive. In an interview Wednesday before festivities began, Patterson recalled volunteering for military service, training at Camp Pendleton on the California coast between San Clemente and Oceanside and being chosen for Code Talker training. 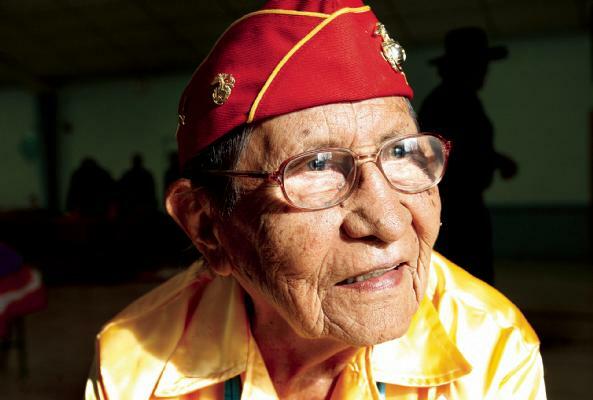 "It was intense," said Patterson, who was among about 60 in the second class of Code Talkers. "We were always busy. We were always training. There was no time for anything else. We had to memorize everything." Patterson and fellow Code Talkers traveled by ship to Hawaii, then to the Marshall Islands for their first assignment. He was proud to have served the nation but was not outgoing about combat experiences. Benally said his grandfather's reticence is not surprising. He heard virtually nothing about war exploits from his grandfather when he was a child, Benally said. "While he was in the Pacific, his mother died, and he wasn't able to see her one last time," Benally said. "I think he was really hurt. He didn't like war, and I guess he decided not to talk about it even in general." Military use of Choctaw in World War I as a code to transmit tactical messages and the Army's experiment with Comanche after the Japanese attack on Pearl Harbor resulted in limited success, McClain said. But it laid the groundwork for the establishment of a Navajo-based code by the Marines. The first 29 Navajos were selected in May 1942. They went through basic training and then devised a code based on their language that would be used in transmitting information and orders by radio and telephone. The code - many times faster than tedious mechanical encryption in English, was revised a couple of times to smooth out wrinkles. Letters of the alphabet were designated by Navajo words - ant for A; bear for B; cat for C. Military vocabulary also was designated in Navajo - a dive bomber was a chicken hawk; a battleship, a whale; a mine sweeper, a beaver. Japanese linguists, who regularly cracked English-language codes, were stumped. 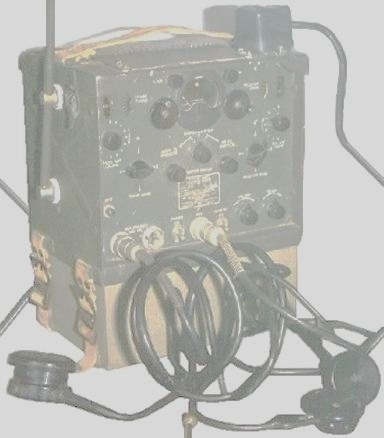 They never were able to unscramble the Navajo transmissions used in battles that took the Marines through an archipelago stretching from the Marshall Islands to Guadalcanal, Bougainville, Tarawa, Okinawa and Iwo Jima. A quote by Patterson–"My language was my weapon"–was featured prominently in a traveling exhibition about the Code Talkers organized a few years ago by the Smithsonian Institution. Other possible factors contributing to the relatively little the public knows about the Code Talkers and the hesitancy of the brotherhood to step out of the shadows: * The Code Talkers were ordered never to talk about their work. * The government itself didn't declassify the code until 1968. * No official public recognition was received until the original 29 Code Talkers or their relatives were awarded a Congressional Gold Medal in 2001.